This is a rectangular flange Cusman Motor Vehicles porcelain sign. 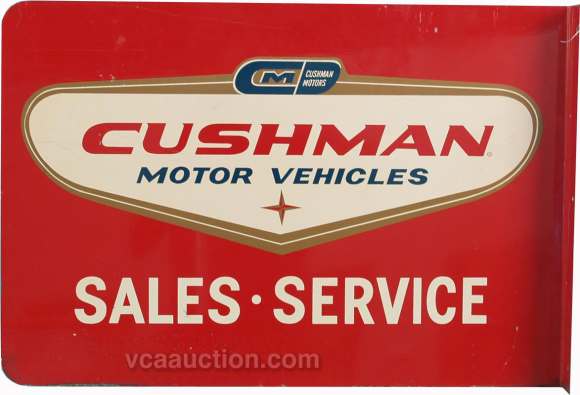 This particular Cushman Motor Vehicles sign is predominantly red with touches of blue and white. It reads, “Cushman Motor Vehicles, Sales, Service” and features a white triangular shape in the center.